We need your help, friend! 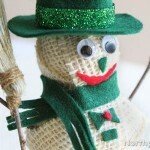 Since 1996 Northpole.com has been making your holidays magical with loads of fun activities, including letters to Santa. This site has always been completely free, and due to the rising overhead costs every year, we have to ask for your assistance to keep Northpole.com running. Would you pitch in $3? For less than the cost of a peppermint mocha, you can truly help. Thank you! 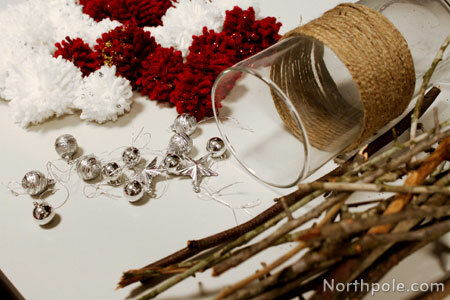 Mix and match several of the craft projects you have made to create something new. 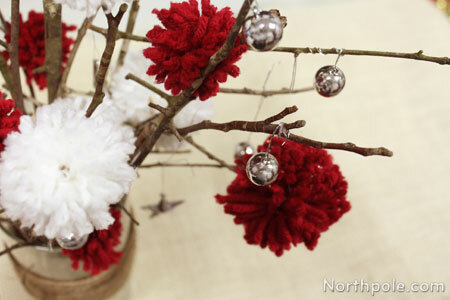 When you combine some festive yarn pompoms and a vase wrapped with twine, you have a quick and easy centerpiece! 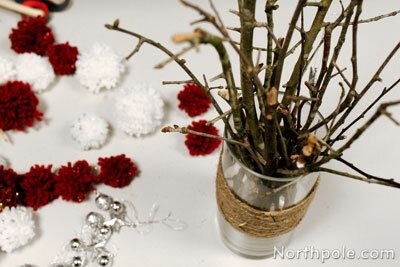 Break sticks to desired length and place sticks in vase. 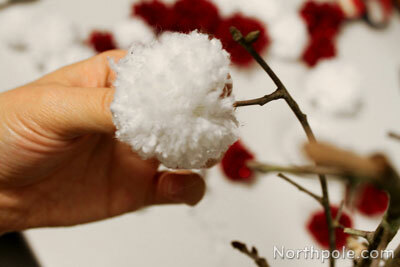 Attach pompoms onto sticks by pushing pompoms onto tips. 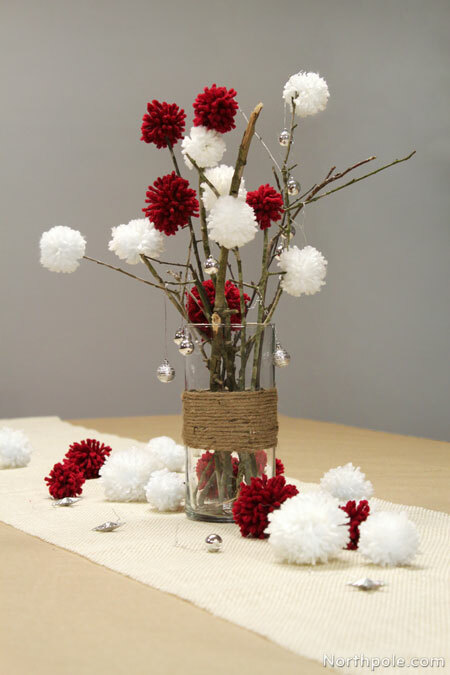 Place vase on table and scatter extra pompoms and ornaments on table around the vase.